Central Arkansas Library System’s (CALS) Butler Center for Arkansas Studies will present, A Legacy of Brewers, in the Butler Center Gallery West, located at 401 President Clinton Avenue, from July 13 – October 27, 2018. A reception will be held on Friday, July 13, 5:00 to 8:00 p.m. during Second Friday Art Night (2FAN) in the Butler Center Galleries. The exhibition will be on view through October 27 in the Butler Center West Gallery. Incorporating paintings from collections of family and friends as well as private and public collections, this exhibition of paintings by three generations of the Brewer family—Nicholas Brewer (1857–1949), Adrian Brewer (1891–1956), and Edwin Brewer (1927–2002)—includes portraits and landscapes featuring people and places from their lives and travels in Arkansas, Arizona, Minnesota, New Mexico, and Texas to highlight the artistic impact this family of artists had on the state of Arkansas. These three artists were extremely prolific, and a small part of their work will be presented. 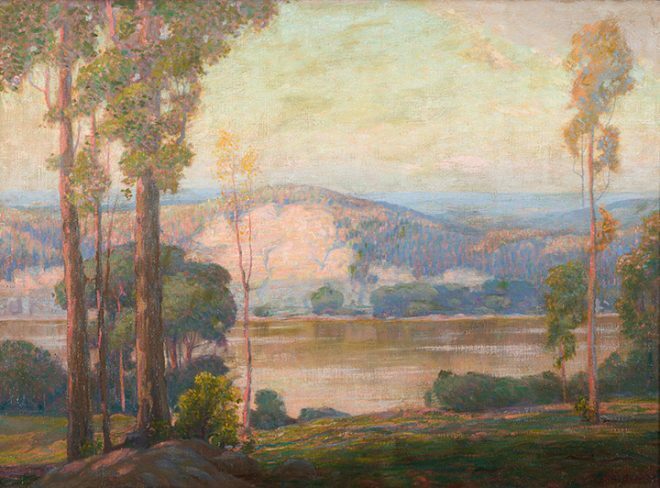 Nicholas Brewer was a well-known portrait and landscape painter in his day and is the subject of the soon-to-be-published Eternal Truths: The Art of Nicholas R. Brewer by Julie L’Enfant. 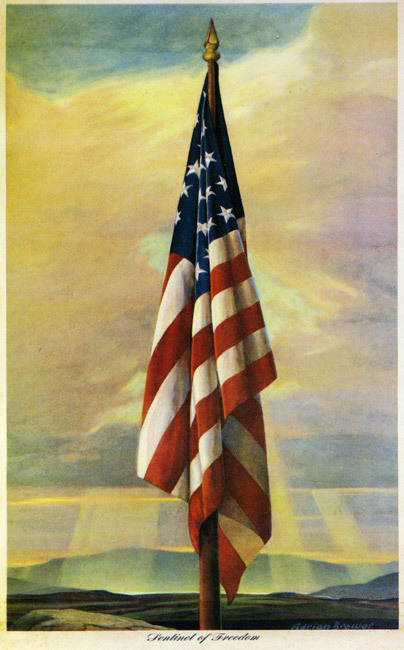 His son Adrian, also a well-known landscape and portrait artist, gained much recognition for the painting Sentinel of Freedom, which is his 1941 rendering of the flag of the United States of America. 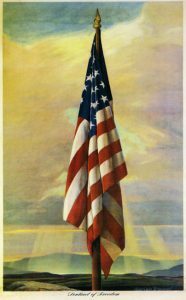 Several million reproductions of the painting were distributed to schools, churches, and individuals during World War II, and the painting has become a common sight in modern culture. The Butler Center for Arkansas Studies is proud to present the original of this painting to the public courtesy of our collaboration the U.S. Naval Academy Museum at the United States Naval Academy in Annapolis, Maryland. Nicholas Brewer first came to the state in the early twentieth century to paint and sell his work in Arkansas, bringing along his son, Adrian, who was also an artist. Adrian Brewer eventually married an Arkansan and made his home in Little Rock. Nicholas and Adrian Brewer made their living primarily painting portraits, including portraits of prominent local citizens, state governors in Arkansas and Rhode Island, U.S. Senator Joe T. Robinson of Arkansas, President Franklin D. Roosevelt, and Catholic cardinals. If the children needed dental work, Adrian would paint the portrait of the dentist. But their true love and passion lay in the landscape. The Brewers’ influence ranged throughout the nation, focusing on the states of Arkansas, Minnesota, and California. Bringing brushes, paint, and mostly Masonite board, they traveled throughout the countryside to create some of the best painted descriptions of the world around them, even including buildings made of concrete and steel, oil derricks, the construction of the Rockefeller Center during the Depression, and the building of Carpenter Dam in Arkansas. Another member of this family of artistic excellence is Adrian’s son Edwin Brewer, who was born in Little Rock. After traveling extensively and studying art, he went on to teach at the Arkansas Arts Center Museum School and Little Rock University before it became University of Arkansas at Little Rock. Landscape and still-life were Brewer’s specialties, and he alternated between oils and watercolors. His paintings are displayed in private and public collections, including the World’s Fair Offices in New York City, the Smithsonian traveling exhibition service, the National Archives in Washington DC, and the Central Arkansas Library System’s permanent collection of Arkansas art. He served as a combat artist during the Vietnam War, and the paintings and lithographs recording his impressions of the Vietnamese people and landscape have been circulated by the Smithsonian Institution’s traveling exhibition service and are documented in the National Archives. Edwin and Adrian Brewer founded the Arkansas Art League in the 1950s. Edwin was instrumental in supporting art education in the state, helping to create the Artmobile for the Arkansas Arts Center and becoming a founding member of the Southern Watercolorists Society, which remains vibrant today. Visitors will be able to learn more about the Brewer family of artists in an illustrated catalog produced for the exhibition that includes historical and biographical information along with family recollections about the artists. This exhibition holds up a mirror to Arkansas and U.S. culture and asks what it means to be an American today. Displaying portraits created by Japanese Americans unjustly incarcerated in Arkansas during World War II, this exhibition invites visitors to reflect on American identity and challenge widely held assumptions about living in a diverse society. 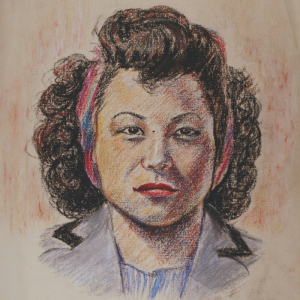 The last in a series of four that have been displayed over the past two years, A Matter of Mind and Heart features artwork and other materials from the Butler Center’s Rosalie Santine Gould-Mabel Jamison Vogel Collection. On view through December 29. This project was funded, in part, by a grant from the U.S. Department of the Interior, National Park Service, Japanese American Confinement Sites Grant Program.